Ever notice on a walk in the country how strangers say hello to you, but in the city not a peep? It’s a phenomenon I’ve always pondered. Now it could be that countryside folk are just friendlier, but I think this is a disservice to our city chums and I don’t believe it for a second! What I think it’s about is shared experience and connection. It is these things that can help inform us about attachment. I believe that the bond between people is stronger the more unique the connection between them is, mother and baby for example. You are more likely to acknowledge a stranger in the countryside as opposed to a busy city street because an experience between two people is more unique than it is between a thousand. You are playing much more of a role in the exchange, really the location is irrelevant. Our experiences in life define who we are, what we become. But by the same token, by being part of an experience you also help define and shape it. There is a bit of you imparted onto each participant in an experience and vice versa. We can see a reflected fraction of ourselves in those we share experience with. We become attached because we leave a little bit of ourselves behind with them. It’s a beautiful thing really. Being a member of a crowd at a football match fosters attachment to the team because collectively the crowd’s supportive role is significant. The more we connect and impart, the greater the bond and the sense of attachment. In game design how do we foster attachment, say, to an in-game character? Really any shared experience is going to be fake and not shared at all. The in-game character is artificial, it’s a one-sided affair, and really you’re alone in the game-world. But in successful games player attachment is real nevertheless. So how is this so? Well your role in the game has consequence. At least it appears that your input in that world and connection with its characters are meaningful. 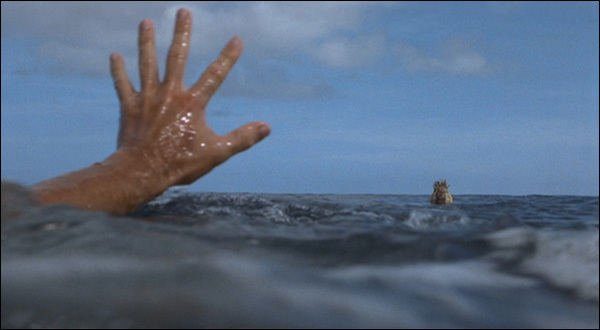 Wilson and Tom Hanks’ character Chuck Noland in the film Castaway is an interesting case in point. Why does he need to characterise the ball by painting a face on it and calling it Wilson? We need an element of humanity in the equation for something to have meaning and attachment to develop. Even in the case of Wilson where he is nothing more than a sounding board. I have a hideously dirty bean-filled throwing ball in my desk draw. I keep it because it reminds me of summer holidays as a kid playing catch on the beach with my Dad. It’s sentimental and I’m attached to it because it signifies a bond, a specific group of shared moments that shaped the relationship between my dad and me. Attachment comes in different forms, but the common factor is meaningful value. You quickly get rid of the superfluous if there are no hooks there. There is little attachment to be found when your role is/was inconsequential to the experience. How depressing would our lives be with our existence unrecognised; to have no impact? We take solace in shared experience and connection because it adds meaning and value to our time on this planet. Attachment is created whenever your mark is recorded, through another person, a memento, anything capable of defining meaning to your life. It is why it is so traumatising to lose something you’re attached to, meaning is being taken away. On the other hand it can be unhealthy to be overly attached. Attachment can hold us back and prevent us from finding further meaning and definition elsewhere. Attachment is a very precious thing that can bring both great joy and sorrow. In game design it can therefore be an extremely useful tool in defining player experience.